Make the best use of roaming desktops and care providers' time with Imprivata® Virtual Desktop Access. Imprivata OneSign® gives care providers fast and easy access to their Citrix- or VMware-based virtual desktops. By replacing repetitive, manual log-ins with automated processes, Imprivata OneSign helps providers obtain information more efficiently, so they can spend more time with patients. Manual log-ins at each location in a facility disrupts workflows and hinders efficiency. 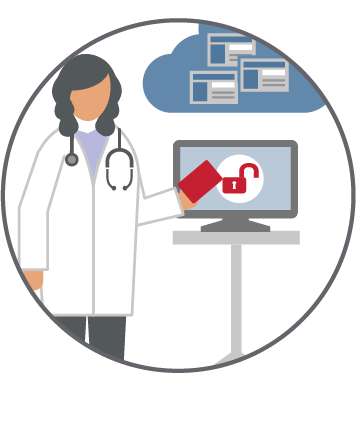 Yet security and privacy requirements around patient data mandate that effective user authentication processes cover all types of access, including virtual. Imprivata Virtual Desktop Access provides fast access to virtual desktops that ‘follow’ care providers as they move around a hospital, maintaining the state of their systems and applications as they change locations and devices. 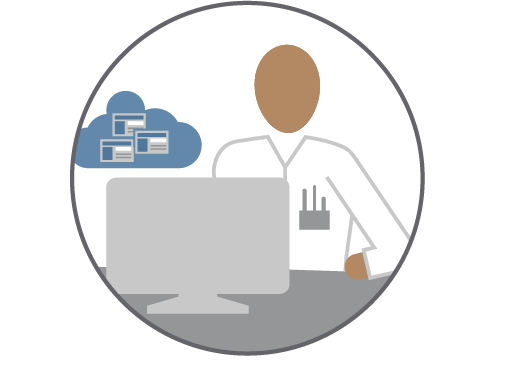 That lets care providers leverage virtualization for more efficient care delivery while maintaining compliance with all relevant regulatory requirements. Imprivata Virtual Desktop Access integrates with Citrix and VMware environments to enable desktop roaming with just the tap of a badge. When implemented together with Imprivata OneSign Single Sign-On, the combined solution can extend this keyboard-free access to all systems and applications. Fast, easy and effective, the system lets providers focus more on their patients and less on the technology they’re using to deliver care. 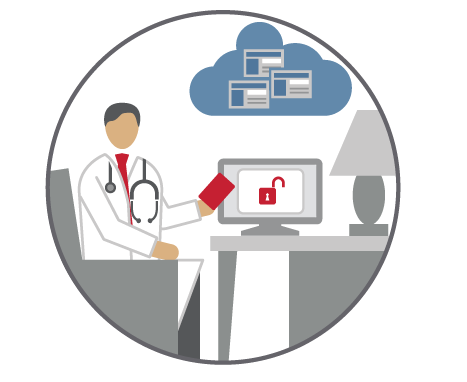 Imprivata Virtual Desktop Access helps hospitals and care providers safeguard patients’ Protected Health Information (PHI). 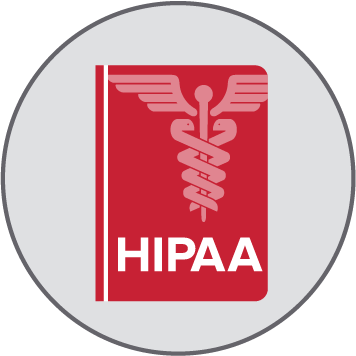 Hospital IT teams can define and enforce HIPAA-compliant policies for activities, including frequent password changes, advanced authentication, and two-factor authentication for transactions such as Computerized Physician Order Entry (CPOE) and E-Prescribing of Controlled Substances (EPCS). With Imprivata Virtual Desktop Access, hospitals can track access by user, making auditing and HIPAA reporting simple and fast. Imprivata Virtual Desktop Access simplifies and expedites desktop access and application single sign-on for virtualized environments. These time savings, combined with the roaming capabilities of virtual desktops, deliver convenient mobility for providers. Imprivata Virtual Desktop Access provides API level support for VMware Horizon View, Citrix XenDesktop and XenApp, and Microsoft RDS. Imprivata also partners with the leading thin and zero client hardware and device vendors, including Dell Wyse, HP, Samsung, Texas Instruments, and Teradici, offering clinicians seamless access to their desktops, clinical applications, and patient data, in multiple technology environments. Imprivata Virtual Desktop Access is the only access management solution available today that enables true desktop roaming between zero client devices, with industry-leading support for zero and thin client devices. API-level integration with VMware Horizon View and the Teradici PC-over-IP protocol enables full roaming across zero and thin client devices – with no input of usernames or passwords required. And with Imprivata OneSign embedded in the Texas Instruments DM8148 system-on-a-chip, Imprivata enables onboard authentication management functionality for thin- and zero-client endpoints from leading vendors including Dell, HP and IGEL. By combining desktop virtualization with single sign-on, hospitals can provide clinicians with a roaming desktop that follows them throughout the day increasing their productivity, satisfaction and overall adoption of electronic medical records. Security and compliance are ‘built into’ the desktop environment rather than imposed on the care provider. The result is a healthcare environment that reclaims time and focus from technology so it’s available for patient care. Other Authentication & Access Management Solutions.